Last week, during Digital Learning Day 2016 we worked with the Maryland State Department of Education (MSDE) to present an online maker session to classrooms across the state. It was an awesome event and we all hope we can collaborate in this way again! 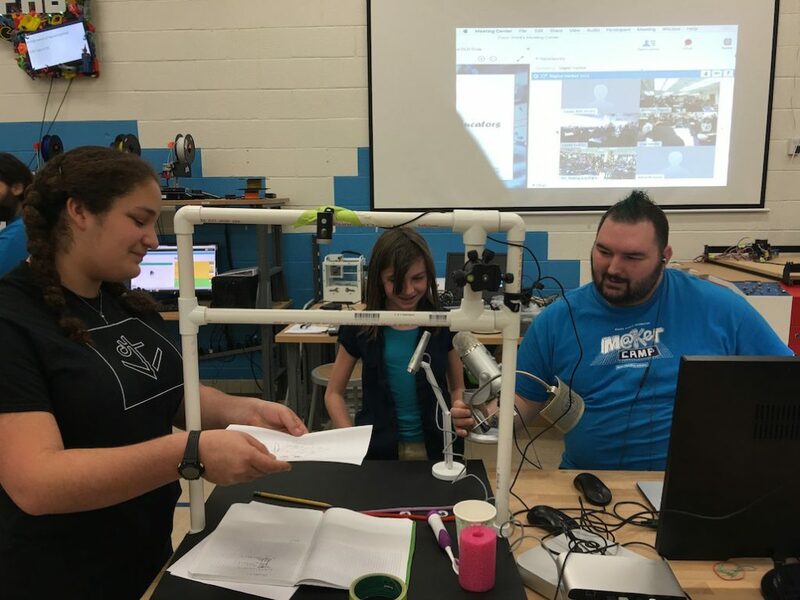 There were 9 total sites, including DHF, who participated in this online session and engaged their students in making Art Bots right alongside us. MSDE coordinated the event through their online WebX portal so all sites were able to login and watch the live session we were hosting in person at the Tech Center. 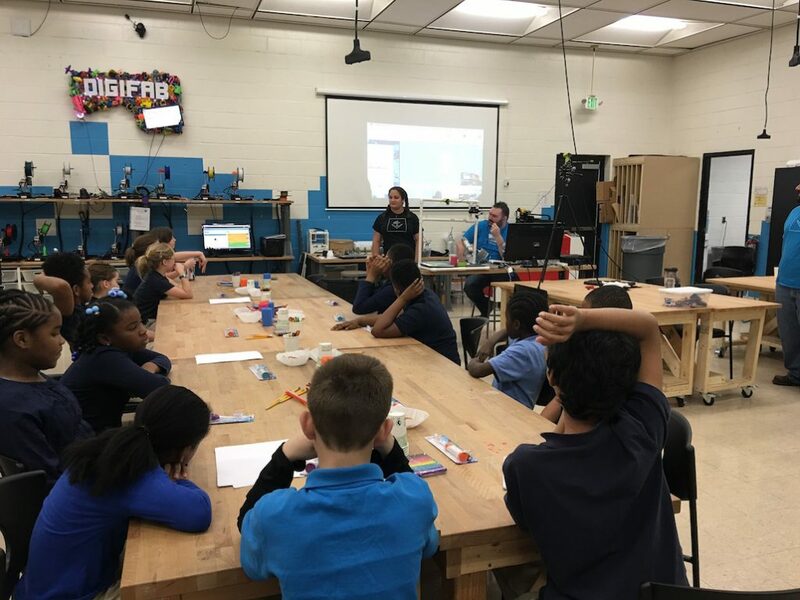 One of our youth Members, Claire Smith, led the activity on-site here with Ms. Lannigan’s 5th grade class from Federal Hill Prep Elementary School. They were all enthusiastic and attentive participants and made some of the most creative and unique Art Bots we have ever seen! Claire not only led the youth who were present here through the activity, but she also provided all of the instruction and guidance for the sites who were participating online. 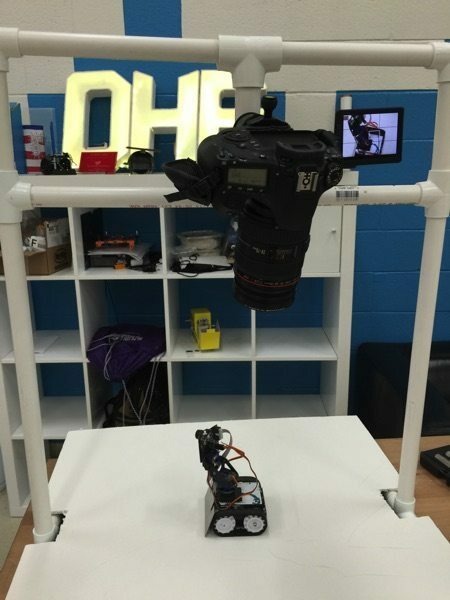 We began by issuing the students a challenge to build a robot that draws using an electric toothbrush as the motor. 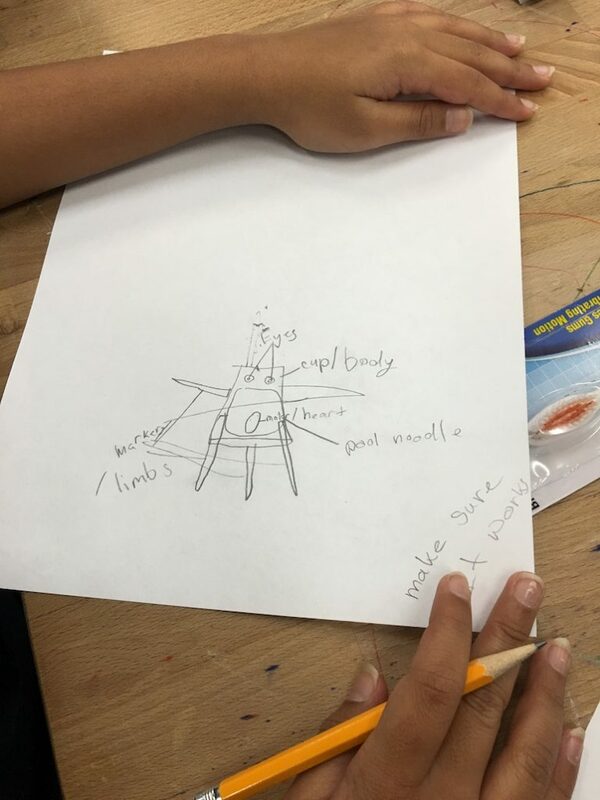 Students then took a few minutes to sketch their ideas and think about a prototype of their design. The online format allowed for youth from each site to share what they made with the whole group and show their process via video and audio to help other youth who were participating. So after some sketching and ideating, a few youth from various sites volunteered to share their designs and talk about their ideas via the webcam to everyone else before we started building. 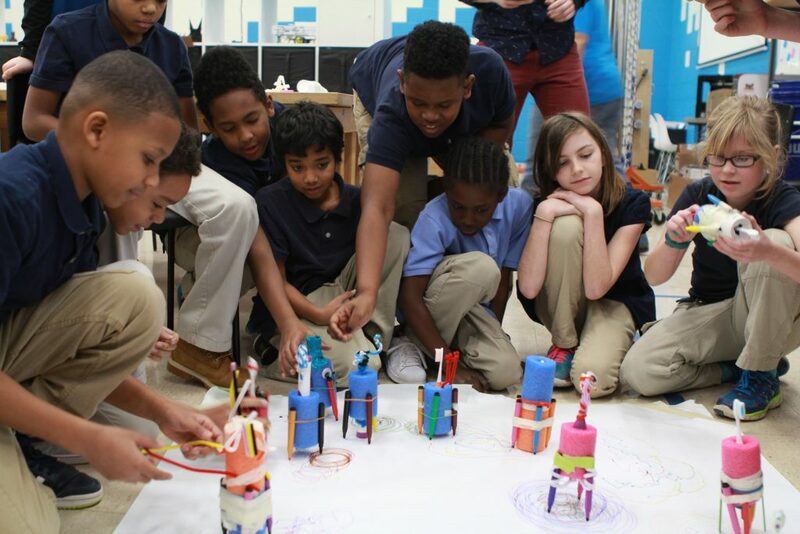 The best part of this activity is the actual building part where you get to experiment with movement techniques and placement of your markers or drawing tools as you build and test your robot. 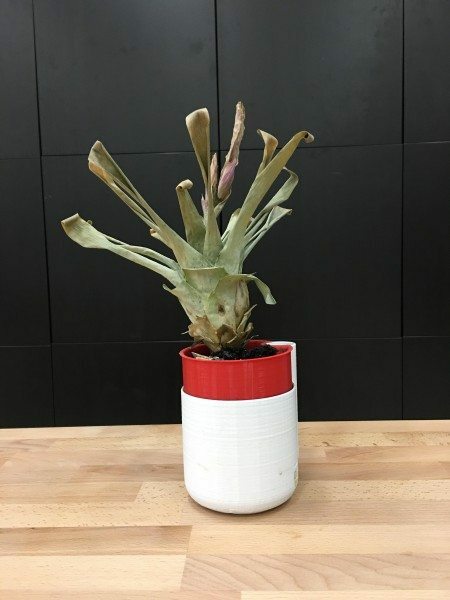 We discussed ways that our designs might need to change, based on our testing, and how that is part of the iterative process (and what the iterative process is!). 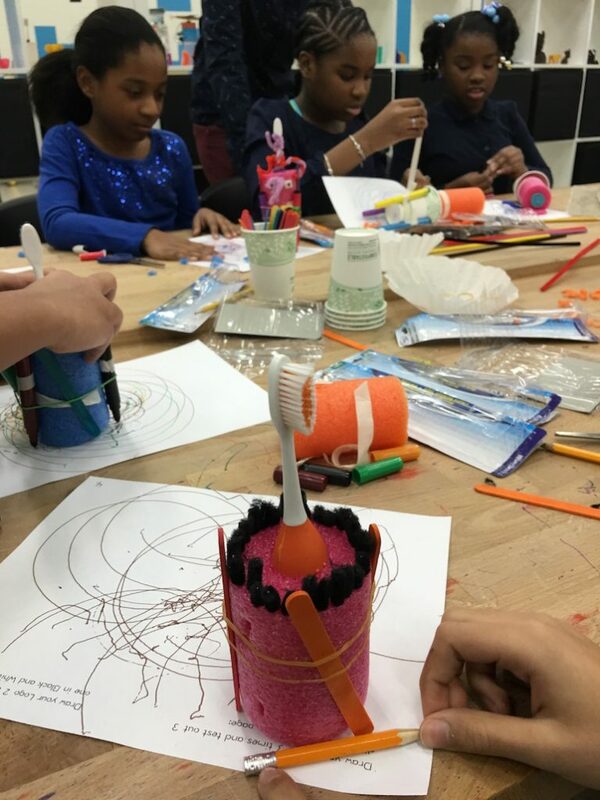 Then, everyone had a great time adding personality and character to their Art Bots using wiggly eyes, pipe cleaners, and other craft materials. Finally, (and this is our favorite part) we invited everyone at our site to bring all of their Art Bots to the “Art Bot Rally”! This is just a large piece of paper spread out on the floor where we can put all of the Art Bots together and see how they interact and what type of art they create as a whole group. Of course, we encouraged each participating site to do this step as well because it is the most fun! Before wrapping up, Claire led all of the sites in a discussion about the process,how our constructions were different from our designs, what we would do differently next time, and what we all learned. The DHF team really enjoyed being a part of Digital Learning Day this year, especially in this way! It was a really innovative format of a workshop for us to be a part of and we thoroughly enjoyed the experience. Thank you to everyone at MSDE who made this possible, the sites who participated across MD, and a special thanks to Federal Hill Prep and Ms. Lannigan’s class for being eager and willing participants in our live session! For more information and highlights from this event, you can check out our Flickr page with more photos: Digital Learning Day 2016 Flickr or these hashtags and posts on Twitter: #DLDay2016, #mdDLDay, @md_digilearning.